My issue with with an "autonomous" stall system - something that actively takes control away from the pilot, and keeps it away from him. If MCAS can predict the onset of a potential stall, and take action, why not instead, just have a warning bell/horn and/or a Bitchin' Betty - "Warning: Stall Imminent!" I learned to fly in a Cherokee 140. It had a red stall warning light and a "whiny" horn that would sometimes go off intermittently about 50 to 300 feet AGL on climbout, particularly in blustery conditions. The response was usually to just ease the yoke forwards a little to slightly lower the RoC. If it had a system that pitched the nose down autonomously at 50 feet, I don't think I would be here to post this! Last edited by smartcooky; 4th April 2019 at 04:19 AM. Both easy to find online. According to this, the remedy for the MCAS failure was to manually trim. They must have never tested this because a test was done by a qualified training pilot in a 737 simulator and he found he could not save the plane using the Boeing supplied procedure. The MAX should have been grounded after the first crash. It's not an anti-stall system. It is there to make the MAX behave the same as the NG in conditions where the nose goes up and the back force on the column reduces. To meet this requirement the tendency of the MAX to pitch up under high power was greater than that in the NG because the engine cowling generates more lift. MCAS was designed to reduce that pitch up and give the pilot a more even response that was similar to the NG in such a situation. The Airbus uses FBW so you can't stall it. Pull all the way back on the stick and it will nose up to a limit and just sit there, crawling along through the air. Video of A330 doing the alpha protect thing. OK, so "technically" MCAS is not an anti-stall system; its a system that alters the aircraft's handing characteristics so that the pilots don't inadvertently put it into a stall. Frankly, I don't see any thing here that could not be accomplished by the regular method of the pilot (or in more complex A/C, the FMS) calculating the necessary take off trim setting. In most flight management systems I have ever encountered, the pilot can input the zero fuel weight, the fuel on board, the take-off flap settings, V1, Vr, V2 and well as the C of G from the load sheet, and the FMS will calculate the trim setting required. The pilots preset that manually. IMO, there is no reason why the aircraft's tendency to nose up at TOGA could not also be a factor that the FMS takes into account to reach the correct trim setting. I have a real issue with A/C systems that take autonomous control from the pilot in low speed/low altitude flight modes and then actively making control inputs. Pointing the nose down at 450 AGL and V2+15 is a really, really, really BAD idea! Awesome, and I would imagine, very uncomfortable for the aircrew. Interesting analysis looking at the bigger picture, placing the blame on deregulation and defunding of the FAA. Well, that winds us back to maybe the thread title at least being partly right. In any case, the Max 8 is clearly a flawed design. They should just slap a thick pad of rubber along the bottom of the plane, that way it will bounce when it does its patented nosedive. You can call it the "Boing 737". but if I were Boeing, I would FIX the Boeing 737 MAX, add some additional great features, & REBRAND the plane with a new name. Actually, not a ridiculous idea. 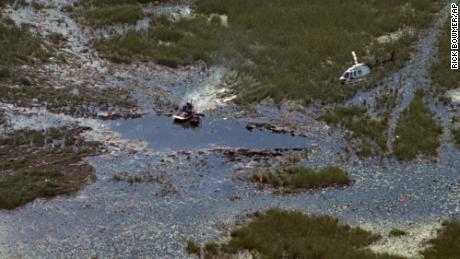 There was a horrible crash in the Everglades of a ValuJet flight*. ValuJet always seemed to be followed by the word “crash”. It still is if you Google “ValuJet”. The way out was to rename the airline AirTran Airways. So compelled rebranding is not an insane idea - though it certainly should not be first and foremost with Boeing at this point. *I was flight instructing in S FL at the time. It was eerie how the swamp swallowed up virtually the entire plane, barely leaving a trace on the surface. Last edited by Fast Eddie B; 15th April 2019 at 07:23 AM. It's the backstory of what led to the introduction of the MCAS in the Boeing 737 MAX and how it caused the two crashes. It's a Vox video but it's short (5 minutes) and uses every minute explaining what I didn't see in any news reports. It wasn't the shutdown but rather an attempt to compete with Airbus by copying some very specific elements. I didn't see anything in it that wasn't already available for anyone who had tried to read more deeply on the subject than headlines and short news blurbs, but it did summarize the most salient points succinctly. When you say 'read more deeply', where was it reported the engine was moved making the plane out of balance when taking off? And that it was because copying Airbus' increased engine size led to the position change? I'm guessing the competition with Airbus having a new plane that didn't require more training was mentioned somewhere. I didn't notice it. Dudalb pretty much said that on the first page of this thread. Here's an article in Digital Trends from roughly two weeks after the second accident. It covers all of that and more. Digital Trends wasn't exactly front-line on this. The information was there, and there wasn't all that much digging required. That's not the news media. I'm not surprised some very intelligent folks in the thread knew all that. That was not my point. ...explaining what I didn't see in any news reports. Same goes for tech websites like Digital Trends. And I didn't disagree with any of that. I said it was a concise summary for people who hadn't dug any deeper than the short news reports. We seem to be in agreement on that point. But it wasn't needful for someone to be "very intelligent" to learn more, just take the time to look for a little bit more information. It isn't like it was carefully hidden. A few clicks, maybe scanning beyond the first couple of google hits. This would have quickly revealed everything that was in that clip. Last edited by quadraginta; 18th April 2019 at 07:45 AM. Well the official reason is to make it handle like the older Boeing 737. However, I've read elsewhere that, with the larger engines mounted further forwards, the extra lift generated by the engine nacelles causes a kind of positive feedback at high angles of attack, which means the aircraft does not behave linearly with stick pressure. MCAS is needed to fix that so that the aircraft can be certified. MCAS is disabled when the flaps are deployed. These crashes were not low speed incidents. In fact, for the second, it appears that the crew re-engaged the electronic trim, probably because the airspeed was too high to let them trim manually. It seems obvious to me (with my 20/20 hindsight) that a means of disabling MCAS was needed that didn't also disable the normal electronic trim. So tough luck the news media didn't cover it, people could have found out if they tried? To me that says, meh, nothing worthwhile there, move along. ... (5 minutes) and uses every minute explaining what I didn't see in any news reports. It wasn't the shutdown but rather an attempt to compete with Airbus by copying some very specific elements. And position of the engines aside, the warped attempt to compete with Airbus was the real problem, IMO. Oh, and BTW, my point about the intelligent people in this forum, there are a bunch of air travel experts and I was merely noting their expertise. I should have said knowledgeable. Last edited by Skeptic Ginger; 18th April 2019 at 03:46 PM. MFM news reports can only do so much with the sixty seconds or so they devote to presenting any story. I don't blame them for that. Nor do I expect nuance or in-depth details. I expect to have to look a bit harder for that. I don't understand the sentiment in your post:To me that says, meh, nothing worthwhile there, move along. Then you read more into my post than I put there. I wasn't being disparaging about the clip. I said it was concise and informative for people who hadn't followed the issue in detail. Your post suggested it was somehow revelatory. It really wasn't. Just a well done explanation of facts that were already known. It is hardly warped for a company to work on products with a demonstrated demand. That's what any company that wants to stay competitive has to do. If you mean they were warped because of the way they tried to rush the product without more thorough testing of the new systems and without ensuring proper pilot training, I agree. Last edited by quadraginta; 18th April 2019 at 04:21 PM. I expect them to cover an underlying attempt to produce something similar to Airbus that led to the initial problem. Fair enough about misreading, but how is the video not revelatory to those of us who didn't look much further than the news? And not everyone has read this thread, or for that matter, all the tedious air crash threads with TMI? So why do you need to dismiss something because it didn't surprise you? ...It is hardly warped for a company to work on products with a demonstrated demand. That's what any company that wants to stay competitive has to do. Yes I mean the latter. It's warped to compete by copying when you can see the larger engines really needed a different plane. Last edited by Skeptic Ginger; 18th April 2019 at 04:41 PM. Fair enough about misreading, but how is the video not revelatory to those of us who didn't look much further than the news? Anything can be revelatory by that standard. The whole point of my post was, here was something I thought the news media was missing. ...but the news media didn't miss anything. You missed it. It isn't particularly revelatory that you happened to miss something. I have yet to see this in a link to the mainstream news, TV or print media. By all means find one. Thank you. Posted November 16, 2018 by Reuters, generally regarded as "mainstream media". Thank you that's half of it, but not one mention of competing with Airbus underlying the change. ...you want me to provide a cite that Boeing and Airbus are competing? I believe that is called a straw man. First you don't have to provide me with anything. Obviously. I posted a video explaining step by step how corporate profit motives led to the changes on the Boeing jet which were eventually responsible for the defects that resulted in two fatal crashes and the shortfalls of selling the 'no new training needed' talking point. I noted I didn't think the news media was paying enough attention to the reason behind Boeing's trying to fit a too-big engine on a too-low wing. They did pay attention to the 'no new training' and from your link, to the problem of the engine size. That still leaves not pointing out the details of the Airbus advances Boeing was trying to emulate. I think that sums up why your link about the engine size was a bit off the mark. Last edited by Skeptic Ginger; 18th April 2019 at 07:56 PM. ...you just finished telling me that my link was "half of it." So now we've gone from "half of it" to "a bit off the mark." Have you finished shifting the goalposts, or do you want me to wait a few more posts for everything to settle down? I mean, how far back do you want me to go? Here's a cite from last month titled "Boeing Was ‘Go, Go, Go’ to Beat Airbus", are you going to count that? I believe you don't understand what a strawman is. I'm not sure what your word twisting is on about. I do believe my posts have been fairly clear. ...I haven't twisted any words. ...are my links unclear to you? Can you accept that the news media did cover it, but you just happened to have missed it? There's no big argument here. I felt that quadraginta dissed my link. It was mostly a misunderstanding. My issue with the video was showing the corporate competing with Airbus. I thought the news media also underreported the problem with the engine size. Turned out that was reported after all. So we are left with a good 5-minute video in my post and the news media not paying much attention to the Airbus competition driving the bad outcome. And I complimented all the knowledgeable people in this forum who know their stuff about air crashes. There is no big forum fight here. ...so thats a "yes, I did miss it" right? There are shorter and less dramatic ways to concede than pretending that our exchange was some "big forum fight." The claim that "the news media not paying much attention to the Airbus competition driving the bad outcome" is nothing more than an opinion that isn't supported by the facts. Its obvious that you didn't pay attention. But the media certainly did, I've cited one article showing that they did, but I won't cite more because its become clear that you will just keep pretending they don't exist. What did I miss that I didn't already talk about? Looks to me like you did quite a bit of confirmation-bias cherry-pickin' there, the things that were no longer in question. Did you link to the MSN report on the competition with AirBus that was at the root of the rest? Last edited by Skeptic Ginger; 18th April 2019 at 09:36 PM. ...you asked me for a cite, I provided that cite. You accepted that cite, then you didn't accept that cite, then you asked for more cites, then you pretended we were having a "big forum fight", and now you are asking what it is you missed? Did you miss the part where you already asked that question, I answered it, and you accepted that answer? ...what part of any of that exchange could be characterized as "confirmation-bias cherry-pickin'?" You even acknowledge that I provided "half" of the citations that you needed. How did I not directly answer your question? You asked me to "find one." I found two. The "the competition with Airbus was at the root of the rest" is an assertion. Its supported by plenty of evidence, but there are many other other factors at play as well. So the Vox reporting is neither unique, nor particularly revelatory. It frames the story in a particular way, but that doesn't exclude that other "narratives" exist. Months behind Airbus, Boeing had to play catch-up. The pace of the work on the 737 Max was frenetic, according to current and former employees who spoke with The New York Times. So what part of that cite doesn't answer your question? Oh good. Maybe now you can go to bed and sleep peacefully.